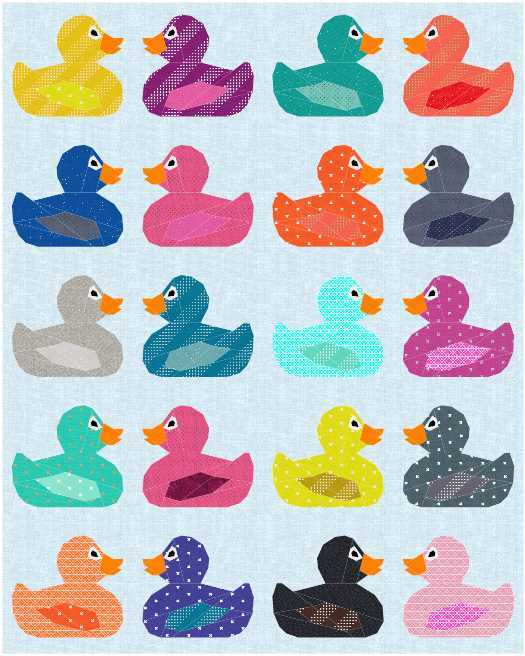 My Rubber Ducky pattern is for bird and animal lovers, and everyone who likes floating plastic bath toy. It is beginner friendly and sews together relatively fast. BASIC SKILLS NECESSARY You need to know how to foundation paper piece. Pattern includes 10” size block with two options – facing right and left. The pattern comes with ¼” seam allowance.